emerging market private equity and corporates. transaction, setting a precedent for the market and generating SAR 1,120 million of cash proceeds. hiring, and deployed incentive programs across portfolio. ecommerce, ride sharing, hospitality, healthcare, education, temporary power, and oil and gas. Rayan Al-Karawi is the MEIRA Saudi Chapter Chairman. Heads IR in Zain KSA, is an award-winning Investor Relations professional, with a career that spans more than 25 years, having held key positions covering areas such as financial markets, corporate finance and financial policies, apart from investor relations. The organizations he worked for include: the Saudi Arabian Monetary Authority, the Saudi Arabian Investment Bank and Dar Al-Arkan. Rayan holds a Bachelor’s Degree in International Business from Schiller International University, London. 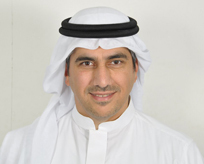 He is also one of the founding members of the Saudi Chapter of the Middle East Investor Relations Association (MEIRA). 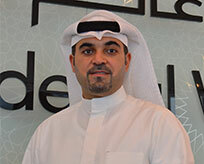 Mr. Wilson is Head of Investor Relations at Aldar Properties PJSC. Mr. Wilson is responsible for the all investor related activities surrounding both equity and debt capital markets. Prior to his role at Aldar, Mr. Wilson served in various roles within investor relations, corporate finance and finance at FTSE 100 mining group Antofagasta plc in London. 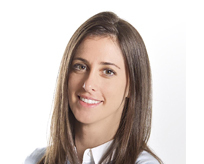 Noor Sweid is the founder of Global Ventures, a Dubai-based, growth-stage venture capital firm. Previously, Noor was the Chief Investment Officer at The Dubai Future Foundation, focusing on developing the technology and innovation ecosystem in Dubai. Prior to this position, Noor was a Managing Partner at Leap Ventures, a growth-stage venture capital firm based out of Dubai and Beirut. With experience as a biotechnology and pharmaceutical strategy consultant in the US, and moving back to the MENA region in 2005, Noor joined her family business, Depa. 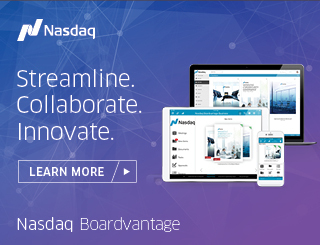 Implementing best-practice corporate governance and enabling the scaling of the business tenfold in three years to reach US$600 million in revenues, Noor then led the IPO for the company in 2008, on the NASDAQ Dubai and the London Stock Exchange. In her eight year tenure at Depa, Noor’s involvement ranged from the strategic and growth planning and implementation, to application of corporate governance, the execution of a private placement and an IPO, cross-border acquisitions, regulatory compliance, and investor relations. During this time, Noor also founded ZenYoga, the first yoga and pilates studio in MENA. ZenYoga grew to become the largest chain of wellness studios in the Middle East, providing space and instruction for over a thousand students to practice yoga weekly, as well as facilities providing international teacher training and qualification, leading to improved health and wellness in the region. Noor exited ZenYoga in early 2014 through sale to a private equity firm. The combined experiences have led Noor to focus in spaces of corporate governance and entrepreneurship. She is a Director-in-Residence for the Corporate Governance department at INSEAD where she teaches in the Value Creation for Owners and Directors program. 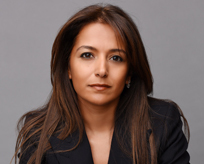 She is Chairperson of the Middle East Venture Capital Association, and also serves as a Director for Nord Anglia International Schools, MIT Sloan, Endeavor UAE, The Grooming Holding Company and the Collegiate American School in Dubai. Noor has been named in the Arabian Business 100 Most Powerful Arab Women list three times, and has been profiled on the covers of Forbes Middle East, Entrepreneur Middle East, and Arabian Business magazines. Noor holds bachelors’ degrees in Finance and Economics from Boston College as well as an MBA from MIT Sloan. Widely recognised as a leading lawyer for capital markets in the Middle East, Andrew Tarbuck is often the first port of call for both issuers and underwriters for IPOs and other securities offerings. He represents clients throughout the Middle East, USA, Asia and Europe on capital markets transactions, public and private M&A, restructurings, flotations and secondary equity fundraisings. In addition, Andrew also advises on debt capital markets transactions and sukuk. 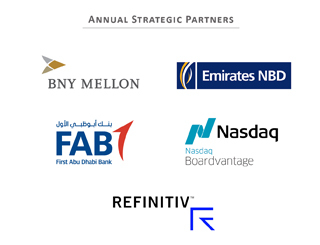 Andrew is also actively involved in the market as a member of the NASDAQ Dubai Practitioners’ Committee, Chairman of the Middle East Investor Relations Association and a member of the Corporate Finance Faculty of the Institute of Chartered Accountants of England & Wales. 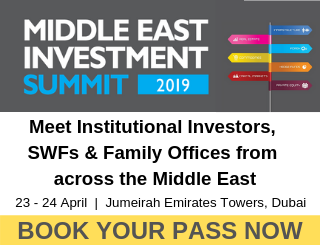 Consistently ranked in Band 1 for Capital Markets (UAE and the Middle East) by Chambers Global and in Legal 500 EMEA for Corporate and M&A (UAE), he has advised on many award-winning transactions, including the largest IPO ever in the Middle East. Mahmoud Salem is a Managing Director in BNY Mellon’s Investment Services sector and the Regional Manager for the Middle East and Africa. As head of transactions for the region for more than 15 years, Mahmoud has helped numerous governments and foreign issuers structure and execute IPOs, secondary offerings, mergers and acquisitions and other corporate transactions involving depositary receipts. Mahmoud structured the first depositary receipts program for the following countries: Kuwait, Qatar, Oman, Jordan, Tunisia and UAE. He has helped structure some of the largest cross-border acquisitions in the Middle East region and has worked on a number of key NYSE and NASDAQ listings and offerings for foreign issuers from Europe and South Africa. Mahmoud also held the role of Head of Global Marketing for the Depositary Receipts Division from 2011 to mid-2014. 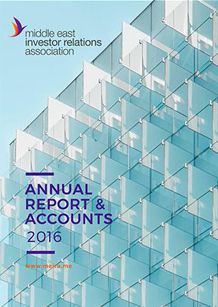 Mahmoud is a board member of the Arab Bankers Association of North America (ABANA). He speaks regularly at capital markets and securities industry conferences and forums. 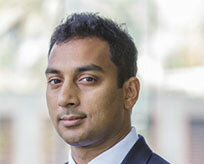 He received a BA and an MBA from Rutgers University and joined BNY Mellon in 1993. Peter Gotke was a Vice President at BNY Mellon until mid-2016, representing their Depositary Receipt interests in the Middle East. 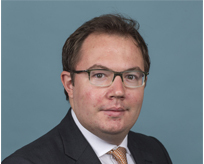 Peter was based in the London office, supporting BNY Mellon Issuers, with responsibility for new Depositary Receipt programs in the EMEA region, and acting as a spokesperson in the media and at conferences for depositary receipts and investor relations. Peter holds a BA in Business Studies and Marketing from London Metropolitan University and prior to joining the Bank, Peter was employed by the Corporate division of Thomson Reuters. 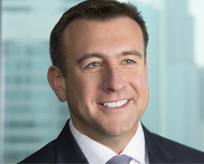 At Thomson Peter held roles that included Sales Director of EMEA, and Managing Director of their Investor Relations practice in Asia Pacific. Peter brings to the Middle East over 15 years of investor relations experience from his time in these and other emerging markets. 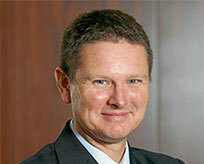 Paul Gay was appointed Almarai CFO in September 2011. In this capacity he directs all financial, systems, legal and Investor Relations matters. Additional focus is engaged on steering strategy, and actively participating in Almarai international Joint-Ventures and business development initiatives. Previously, Paul was the CFO of Firmenich, the global leading Fragrances & Flavors house. Before that, he held senior finance management positions at Givaudan, Roche, Computerland, ICL, National SemiConductor and IBM, living in China, Japan, Europe and the USA. 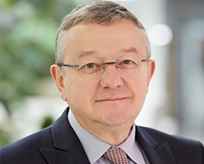 Paul holds an executive MBA from ESCP Europe (1980), a French Public Accountant Certificate with Tax specialisation (1982), INSEAD Corporate Finance Diploma (2003) and Institute of Directors Diploma in Company Direction (2016). 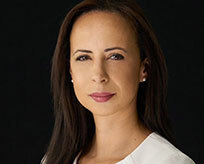 Sofia is the Head of Investor Relations of First Abu Dhabi Bank (FAB), result of the merger between First Gulf Bank (FGB) and National Bank of Abu Dhabi (NBAD) in April 2017. In her current role, she oversees all investor-related activities and is responsible for developing and implementing an effective IR program designed to ensure accurate understanding of the company’s story and strategy, and to enhance investor confidence in its value proposition. Previously, she was Head of Investor Relations at First Gulf Bank (FGB), a role she has occupied since 2013. Before moving to Investor Relations, Sofia was a sell-side equity research analyst for more than 7 years, and was heading the Banks & Financials coverage team at Dubai-based SHUAA Capital. Sofia holds postgraduate degrees in financial management and control from Paris Dauphine University, and in international management from the American University in Washington, DC. 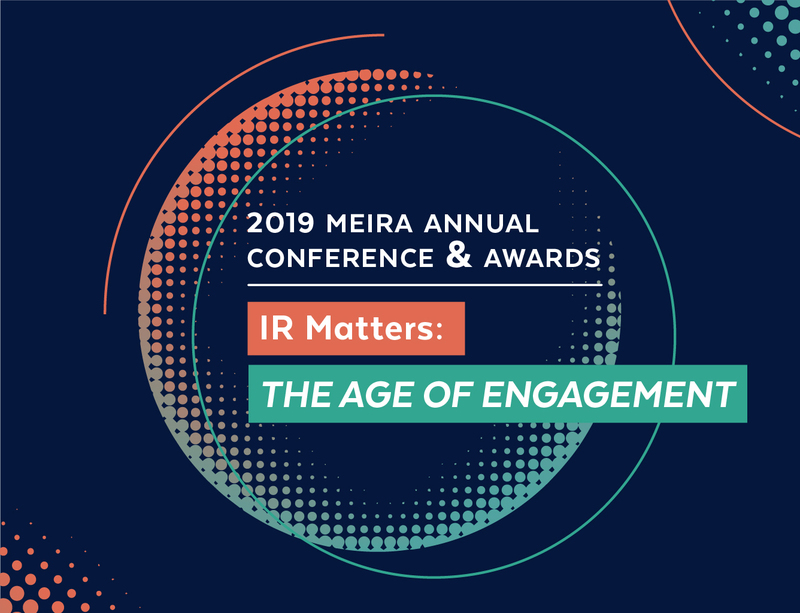 She has been an active Board Member at MEIRA since 2014. Omar is a Founder and General Partner at the Arab Angel Fund, a $25 million early stage venture fund focused on Seed and Series A technology investments in North America, which helps entrepreneurs access the Gulf Cooperation Council (GCC) and the Middle East and North Africa (MENA) markets. 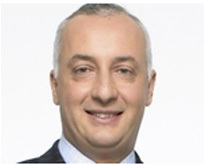 Previously, he was Director of Investor Relations, Strategy and Business Development at OCI N.V. based in New York City for over 3 years and was Head of Investor Relations at Orascom Construction Industries based in Cairo, Egypt for over 6 years prior to the company’s relocation to the Euronext Amsterdam. Prior to launching his fund and joining the OCI-family, Omar was a Transfer Pricing Consultant for Deloitte Tax LLP based in Chicago and a Leveraged Finance Analyst for Deutsche Bank in London. Omar has over 11 years of international experience in corporate finance, corporate communications, management consulting, strategy, investor relations and venture capital. 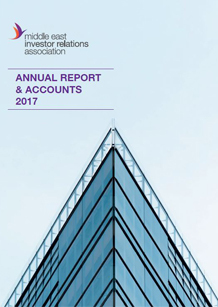 To-date, Omar has worked on over US$ 35 billion worth of transactions including mergers and acquisitions, initial public offerings, divestitures, share buybacks and various corporate restructurings. 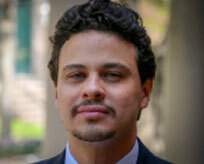 During his time at OCI in Cairo, Omar won the “Best Investor Relations in Egypt” award for four consecutive years. 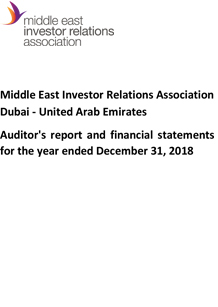 The award is based on votes from global investors and sell-side analysts conducted through Extel Surveys by Thompson Reuters on behalf of the Middle East Investor Relations Association. 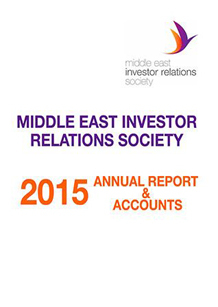 In 2012, Omar and his team also won the “Best Investor Relations Team in the Middle East for Crisis Communications” award. Omar also has extensive experience in private equity and venture capital, having founded his own startup, Premier Foods SAE, which manages two gourmet fast food brands in Egypt. Omar previously advised Hikma Pharmaceuticals’ corporate venture arm Hikma Ventures on its digital healthcare investments. Omar is also an angel investor in various startups including Andela, FiscalNote and Quarrio Corp and sits on the Board of various companies and associations including Gold Cleats Inc. and the Middle East Investor Relations Association (MEIRA). Omar holds a BA in Economics and Political Science with Honors from the University of Chicago and an MBA from the Wharton School at the University of Pennsylvania. Mohammad Abdal is a founding member and chairman of the Middle East Investor Relations Association Chapter in Kuwait and a member of the globally recognized National Investor Relations Institute (NIRI). Mohammad Abdal was appointed Chief Communications Officer of Zain Group effective July 10, 2015, heading three significant divisions within Zain Group: namely Investor Relations, Corporate Communications, and Corporate Governance & Compliance. A Kuwaiti national, Abdal is a home-grown success story having joined Zain in 2001 as a finance executive soon after graduation. Over the next 16 years Abdal rose rapidly through the organization; playing a key role in various aspects of the company’s evolution and success from a local operator in Kuwait to becoming the leading telecom conglomerate it is today. Abdal has led the Zain Group Investor Relations department since 2008 and in January 2012 was given the added responsibility of overseeing the Group’s Corporate Communications Department. In early 2014, he established the Group’s Corporate Governance division, one of the first companies in Kuwait to fully embrace the new compliance regulations initiated by the country’s Capital Market Authority. Key milestones in Abdal’s impressive career at Zain include managing two of the largest capital raisings in the history of Kuwait, namely a US$4.5 billion capital rights issue in September 2008 and a US$2.3 billion rights issue in November 2005. Additionally, he has overseen the IPOs and listing of various Zain entities over the years, including the successful listing of Zain Saudi Arabia on the Tadawul Stock Exchange in March 2008, and a subsequent capital raising of US$1.6 billion in July 2012; as well as the IPO and subsequent listing of Zain Bahrain in December 2014. He was also involved in the IPO and subsequent listing of Zain shares in Zambia in 2008 (known as Celtel at the time), and in June 2015 was involved in the successful IPO and listing of Zain Iraq on the Iraqi Stock Exchange. Abdal graduated in 2001 from Portland State University, Oregon, US with a Bachelor of Science in Business Administration with a double major in Finance & Management Information Systems. He has also attended reputable executive programs in recent years that earned him several recognitions as a Certified Investments and Derivatives Auditor (CIDA), a Certified Investor Relations Officer and a Certified Corporate Governance Officer.